Sweet new trailer from the sequel to the Luc Besson written action thriller, Taken. Looks like the friends and family of the many bad guys Liam killed in the original are looking for some revenge of their own. Great to see Liam Neeson and the original supporting cast back in some promising action. Latest trailer for the Total Recall reboot, starring Colin Farrell and Kate Beckinsale. Much of the dialogue seems to mirror the original, which may not go down well with some fans. Time will tell but enjoy the trailer in the meantime! The latest trailer from the upcoming installment in the Bourne series, The Bourne Legacy. Unlike previous installments, Jason Bourne will not be the primary hero, as that distinction will be reserved for character Aaron Cross (played by Jeremy Renner, AKA Hawkeye in the latest Avengers movie). Fortunately they didn’t simply insert a new actor to play Bourne, and looks to maintain all previous major characters and actors of the previous movies. More to come from FavoriteHero.com! The latest Halo 4 trailer, straight from its showing at E3! 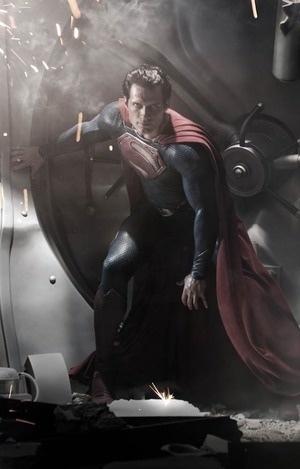 New pic of Henry Cavill as the reboot of the upcoming Superman movie. Compliments of our friends at Gizmodo. You are currently browsing the archives for the Upcoming Movies category.